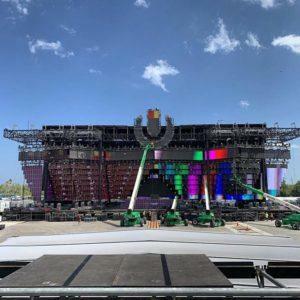 Thanks to a Reddit user, the layout of the stages for the 2019 edition of Ultra Music Festival Miami (our guide) has been revealed. 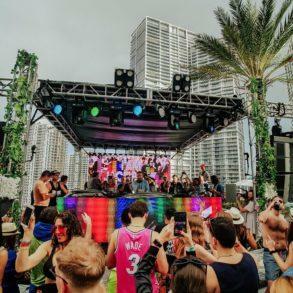 With the change of location from the historical home of Bayfront Park to the new and bigger Virginia Key island, Ultra Miami (lineup) has, literally, expanding the festival in a big way. 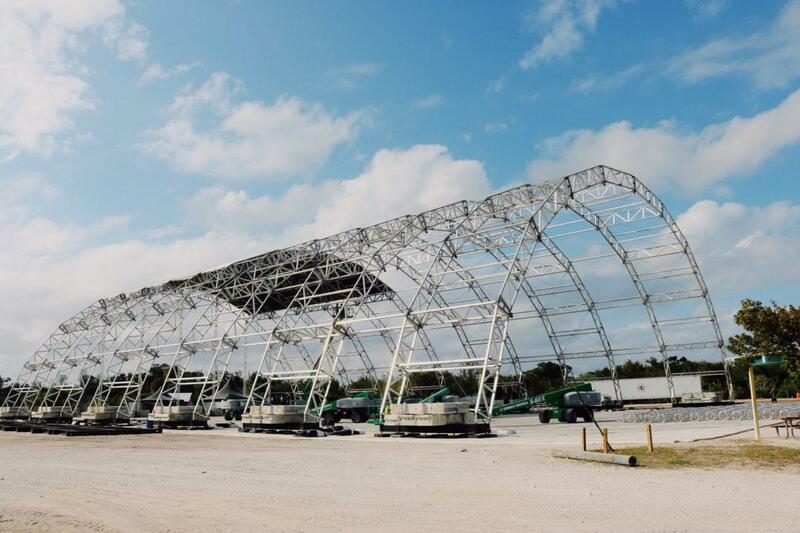 The techno heart of Miami is now on the RESISTANCE Island; located in the beautiful frame of the Historic Virginia Key Beach Park, the new location will host three full-underground and techno stages. 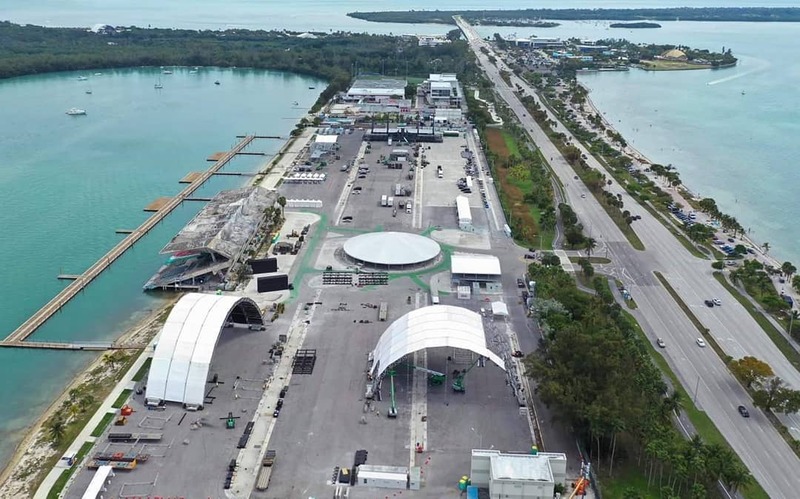 The “more mainstream” (with the mainstage as well) part of ultra will be located, instead, on the Miami Marine Stadium, on the other side of Virginia Key. 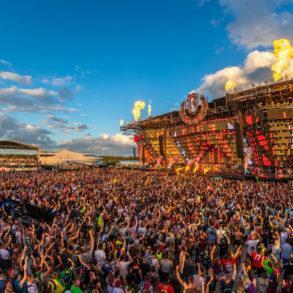 Four more stages will be located bringing Ultra Miami to host 8 unique music stages. Working has started in Virginia Key and we’re now able to show you some exclusive picture shot on the festival ground, including the RESISTANCE megastructure as well as the mainstage. Of course, both stages are still work in progress. 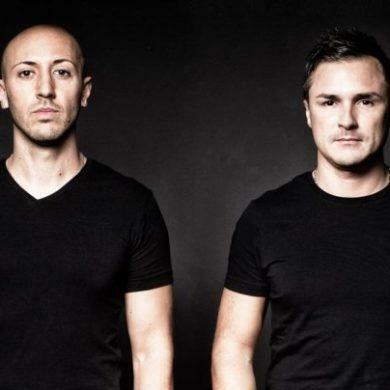 Thanks to Everything Ultra for he continues posting. 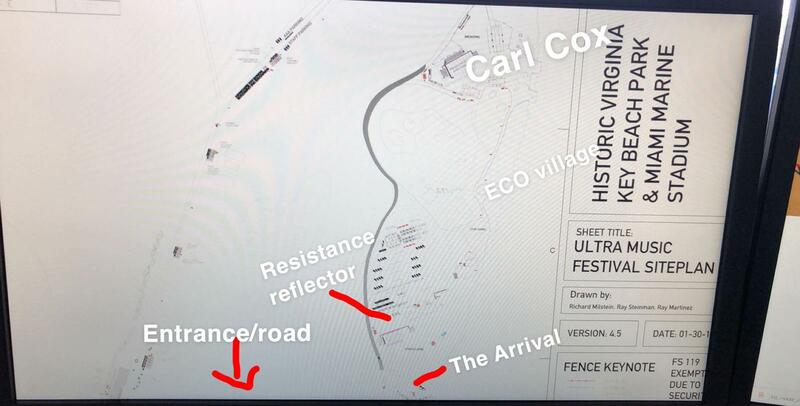 Besides the few teaser videos showing the location of the stages, there weren’t official festival’s maps. 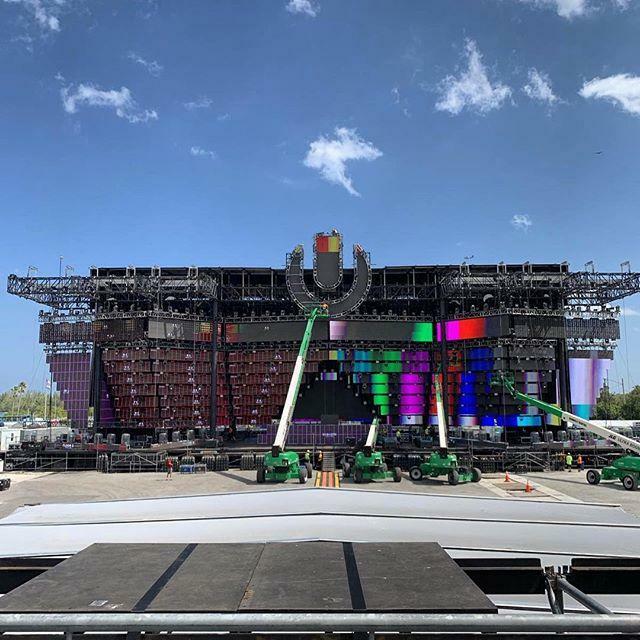 Luckily, a Reddit user stated that a friend who works for the City of Miami has sent to him the official Ultra Miami 2019 Festival layout for the stages. 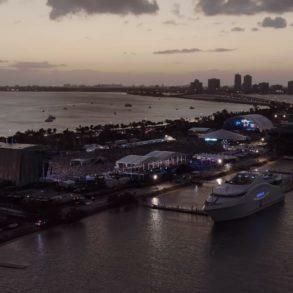 Starting from the Miami Marine Stadium, it’s clearly visible on top the dock for the VIP passes the Boat Drop/OFF. The mainstage, all on the right, will use all the width of the Marine Stadium Area. 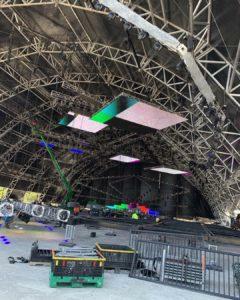 On the bottom, the Arena LIVE will be enclosed, mainly to reduce the impact of music coming from the external stages. In a zoomed view of the Arena LIVE, we can have an idea of the dimension of the stages. For instance, the two boxes that are circled are 56 ft long and 12 ft wide. According to the photo, one of the squares that makes up the Arena LIVE is about 6 ft long (1sq = .5 circled box). 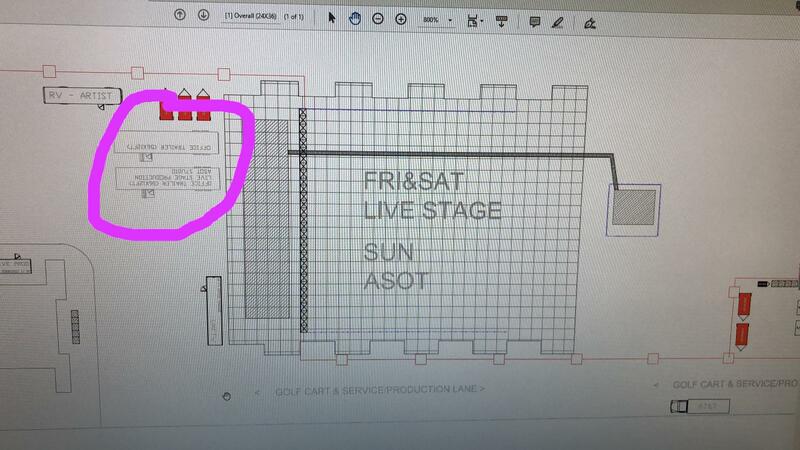 Translate this over to the mainstage which is about 32.5 squares from end to end (total length of the mainstage/length of one box on mainstage = 32.4285). Assuming everything is to scale, we can infer that mainstage is roughly 195 feet (6ft * 32.5 boxes = 195 ft) For reference, 2016’s stage was 210 ft long, so it looks like it might be a bit narrower. (Thanks to S_B_C_R for the measurement). 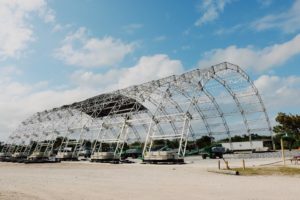 Moving on the RESISTANCE Island, which is about 1.2 miles from the mainstage (about 30 minutes by foot), the megastructure will have an insane amount of space. It will be located on the very top, with The Arrivals and REFLECTOR below. 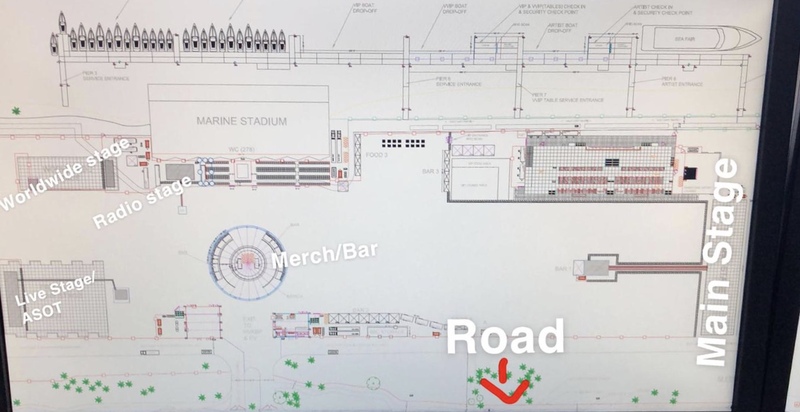 The papers are dated the 30th of January but, according to Reddit’s user, they are the final version and are already been approved by the city of Miami. 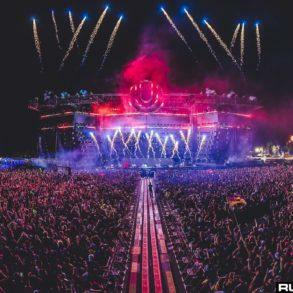 If this is not another proof of the best ultra Miami yet, we don’t know what it is. Tier 5 (last one) GA 3-DAY tickets are still available via this link.